Today I spent a majority of my time creating space out of thin air. I am beginning to think that God has me in this teeny tiny apartment so that I can learn superb organizational skills and one day open my own company. Hopefully I will learn these organizational skills soon because I'm ready to kiss the apartment goodbye. It should be noted that this little device DOES NOT come put together. In fact that is something that you have to do all on your own. 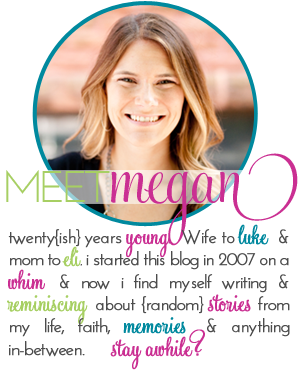 Doesn't it look so pretty, and inviting, and easy to put together? I will never in my life understand why some companies choose to make their instructions ALL PICTURES and NO WORDS. I spent a good 20 minutes matching different sized screws to the pictures on the paper trying to figure out what it was and where it went. I may not know that names of the screws but I could definitely pick out what size screw I need in a series of screw pictures. After about 2 hours of trying to put together this wheel of confusion I threw myself on the ground and declared defeat. Clearly I try my best to steer away from being a drama queen. The wheel and thousands of pictures had become too much for my vacation-ized mind and I couldn't take is anymore. While on break from work I try not to use too many thinking cells. I don't want to over do it. Luke attempted to help me at one point but he has been sick for the past day and informed me that he does not like to put together shoe wheels when he is sick. Which I can't complain because I pretty much don't like to do anything when I am sick. After what too much time devoted to one wheel of confusion I finally got it put together. It was also around that time that I started feeling sick. I don't know if I should blame Luke for passing it on to me or the wheel for all of the stress that it caused that most likely caused my immune system to plummet. I've heard you get sick easier if you are stressed a lot. I wonder what happens if you are always stressed that you are sick? I'm not even going to google that one. I haven't yet filled my shoe wheel because I just realized I don't have the same Pump in 20 different colors. Oh the tragedy of not being a "shoe girl". Also, for those of you that asked our new camera is a Nikon D3000. And be prepared to see pictures of just about anything and everything while I learn to use this new thing! I may even post a picture of my Shoe Wheel all put together so nicely. Where does one acquire such a shoe wheel?! I haven't ever heard of such a thing. And now I need one. So jealous about the camera. Can't wait to see a boatload of pictures. I am sorry it gave you such a hard time... I hate having to put things together..ugh!!! I hope you and your man feel better soon..
ROTFL at the shoe wheel. I have to figure out the best way to store my MANY shoes. I have not come up with a good method yet, but I will be sure to steer clear of the shoe wheel. Hope you feel better. I think the shoe wheel is probably one of the coolest things I have seen! Aren't the pictionary directions the worst? I never know which screw is which-they all look the same! 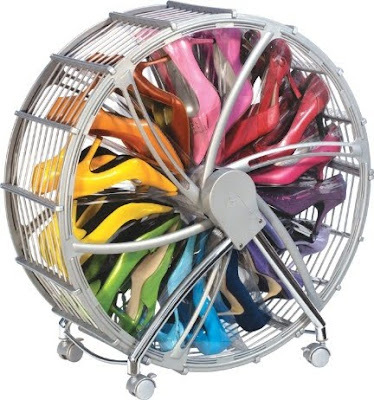 The shoe wheel appears to be one of the most intense shoe organizers I've ever seen! Putting things together is lame. That's why I got married. I let my sweet little husband assemble everything now. Mainly because he's an engineer, and well....I teach 4th grade. It's right up his alley! You may have to post a detailed review of the shoe wheel...it may be something I need to invest in and then bribe my Hubby to put together! Wow, what a toy! Congrats on putting it together. I am in love with the shoe wheel! Where did you find this? I've seen ads for the shoe wheel and wondered if its as good as promised...you'll have to let us know! I have never seen anything like that shoe wheel! Love it! Where in the world did it come from? And I'm a little jealous of the camera. I got a new one for Christmas too, but it wasn't the Nikon D300 or D500 that I secretly wanted. Guess I will just have to practice on my new one till I can get one of those. Holy wow! The shoe wheel! I do need to see a picture of this. And can't wait to hear about your camera adventures. I'm so ashamed of myself and my lack of motivation in learning to use my camera properly.